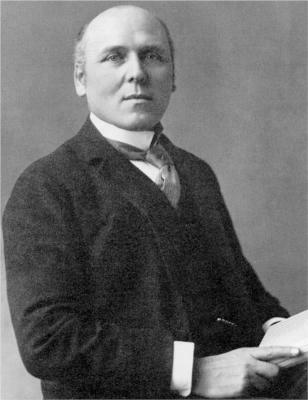 Howard Pyle (March 5, 1853 – November 9, 1911) was an American illustrator and author, primarily of books for young people. He was a native of Wilmington, Delaware, and he spent the last year of his life in Florence, Italy. 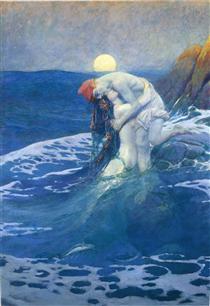 In 1894, he began teaching illustration at the Drexel Institute of Art, Science, and Industry (now Drexel University). 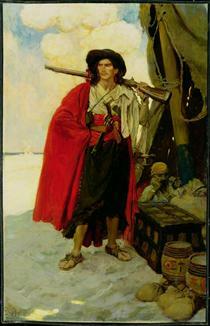 After 1900, he founded his own school of art and illustration named the Howard Pyle School of Illustration Art. 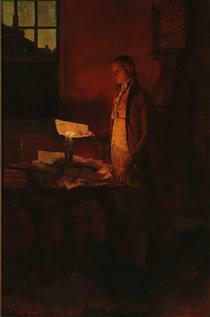 Scholar Henry C. Pitz later used the term Brandywine School for the illustration artists and Wyeth family artists of the Brandywine region, several of whom had studied with Pyle. 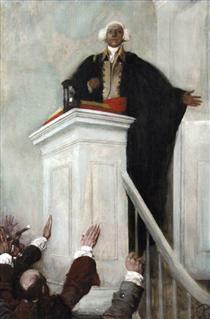 Some of his more notable students were N. C. Wyeth, Frank Schoonover, Elenore Abbott, Ethel Franklin Betts, Anna Whelan Betts, Harvey Dunn, Clyde O. DeLand, Philip R. Goodwin, Thornton Oakley, Violet Oakley, Ellen Bernard Thompson Pyle, Olive Rush, Allen Tupper True, Elizabeth Shippen Green, Arthur E. Becher, William James Aylward and Jessie Willcox Smith. Pyle taught his students at home and studio in Wilmington, which is still standing and is listed on the National Register of Historic Places. 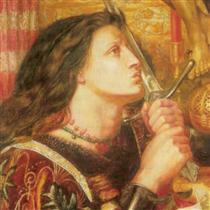 His 1883 classic publication The Merry Adventures of Robin Hood remains in print, and his other books frequently have medieval European settings, including a four-volume set on King Arthur. He is also well known for his illustrations of pirates, and is credited with creating what has become the modern stereotype of pirate dress. 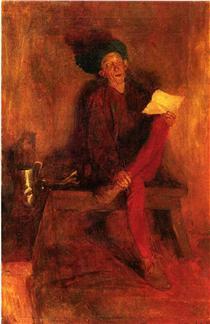 He published his first novel Otto of the Silver Hand in 1888. He also illustrated historical and adventure stories for periodicals such as Harper's Magazine and St. Nicholas Magazine. His novel Men of Iron was adapted as the movie The Black Shield of Falworth (1954). 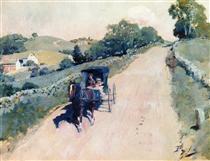 Pyle was born in Wilmington, Delaware, the son of William Pyle and Margaret Churchman Painter. As a child, he attended private schools and was interested in drawing and writing from a very young age. He was an indifferent student, but his parents encouraged him to study art, particularly his mother. He studied for three years at the studio of F. A. 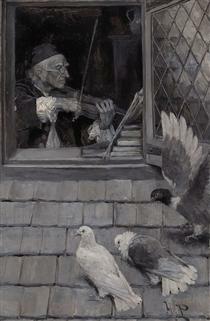 Van der Wielen in Philadelphia, and this constituted the whole of his artistic training, aside from a few lessons at the Art Students League of New York. In 1876, he visited the island of Chincoteague off Virginia and was inspired by what he saw. He wrote and illustrated an article about the island and submitted it to Scribner's Monthly. One of the magazine's owners was Roswell Smith, who encouraged him to move to New York and pursue illustration professionally. Pyle initially struggled in New York; his lack of professional experience made it difficult for him to translate his ideas into forms for publication. 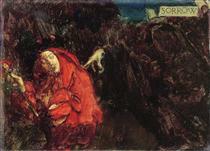 He was encouraged by several working artists, however, including Edwin Austin Abbey, A. B. Frost, and Frederick S. Church. He finally published a double-paged spread in the Harper's Weekly issue of March 9, 1878 and was paid $75—five times what he had expected. He became increasingly successful and was an established artist by the time that he returned to Wilmington in 1880. 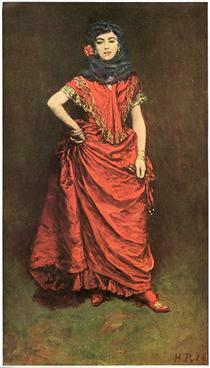 Pyle continued illustrating for magazines. He also collaborated on several books, particularly in American history. He wrote and illustrated his own stories, beginning with The Merry Adventures of Robin Hood in 1883. This book won international attention from critics such as William Morris. Over the following decades, he published many more illustrated works for children, many of which are still in print today. 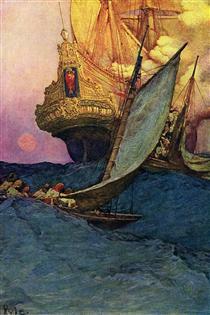 An Attack on a Galleon Howard Pyle ? 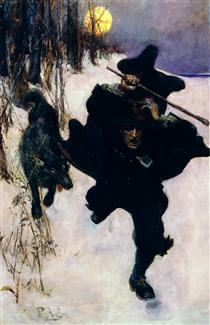 La Salle Christening the Country 'Louisiana' Howard Pyle ? 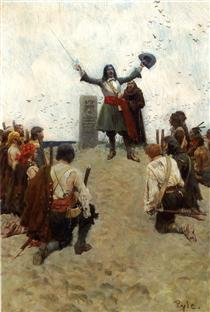 Letter of Introduction Howard Pyle ? Red Coat Soldiers Toasting the Ladies of the House Howard Pyle ? 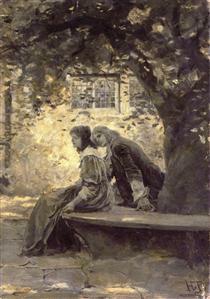 Two Lovers in a Garden Howard Pyle ? 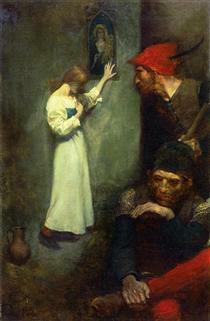 Villon - The Singer Fate Fashioned to Her Liking Howard Pyle ?